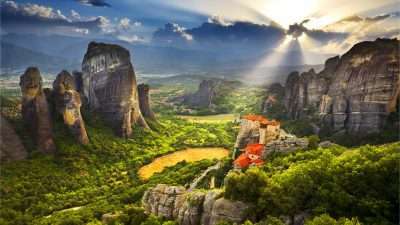 On our walking holidays in Greece you will discover the beauty of the Greek islands (the Cyclades – Naxos, Andros and Santorini; Crete and Corfu), as well as the hidden gems of mainland Greece – Meteora, Pindos Mountains, the VIkos Gorge and Mount Olympus. The south-west part of Crete has a unique landscape of scenic gorges and a coast full of secluded beaches and deep blue waters. Explore the gorges of West Crete, including the famous Samaria Gorge and the impressive Aradhena Gorge. The island of Crete offers a rare mix of amazing mountains and cosy villages inhabited by warm-hearted locals. Take this epic 15-day trek and discover the amazing nature of Crete walking from the north to south coast, then take in all the stunning gorges of the south-west. This tour will take you via the Lefka Ora (White Mountains), through the gorges of Sfakia, Anydri, Irini, Aradhena and the famous Samaria Gorge to the seashore. Discover unspoilt Crete while walking from the north to the south coast through beautiful areas that few tourists get to see. This tour will take you from Apokoronas via the Lefka Ora (White Mountains) to the beaches of the south coast, where you will walk through two of its most beautiful gorges: the Sfakia Gorge and the Aradhena Gorge. This walking holiday in Crete includes a unique combination of hiking trails in the White Mountains that partially follow the E4 trail and will enable you to explore the most beautiful and versatile landscapes of Crete. 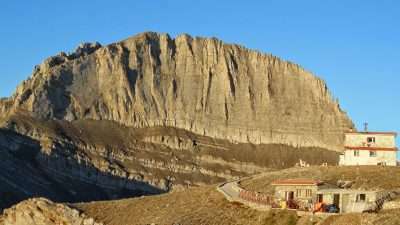 The summits of Ginglios (1,980 m) and Pachnes (2,453 m) are the highlights, while the gorges of Samaria and Aradena offer some of the most impressive walking routes in Europe. Our Crete East Coast and Sitia Natural Park 10-day walking holiday in Crete will give you the opportunity to get to know Crete’s unknown gorges, fossil sites, caves full of legends and worship, karstic springs, plateaus and highlands, walking off the beaten track. Sitia Natural Park is a protected area for its biodiversity and is included in the Geopark Network of UNESCO. While our core Corfu itineraries are available only in May, June, September and October, as most hotels along the Corfu Trail are closed from November till April, we developed this special walking programme available in early spring and late autumn. Being based in Corfu Town, you will enjoy four days of walking along the Corfu Trail with short daily return transfers to your hotel. Take in two days of guided hikes in Meteora and walk among the gigantic monolithic pillars and rock monasteries to enjoy some truly breathtaking views. Then move to Pindos with its winding trails and stone bridges, finishing with a walk through the beautiful Vikos Gorge. Retreat every evening in elegant stone mansions in the villages along route. Our Vikos Gorge and the Stone Bridges of Zagori walking holiday in Greece allows you to immerse yourself in one of Greece’s greatest natural environments with spectacular views of Vikos Gorge, the worlds deepest Canyon and also experience the enchanting 18th century stone villages and bridges of Zagori. Retreat every evening in elegant hand picked stone mansions in the villages along route. 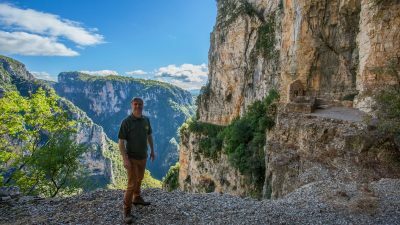 Walk through the impressive Vikos Gorge, the deepest canyon in the world. Reach the alpine zone up to the beautiful Dragon Lake and enjoy the spectacular views, then descend the famous cobbled path of Scala Vradetou, built in the 18th century. Retreat every evening in elegant hand-picked stone mansions in the traditional villages along the route. From the depths of Vikos Gorge, the world’s deepest gorge, to the sunny islands of Corfu, Crete and the Cyclades, our Greece walking holidays offer some of the most spectacular hiking in mainland Greece and its islands. Our self guided walking holidays in Greece range from five-day leisurely escapes to 15-day trekking expeditions, with difficulty grades ranging from easy to strenuous. Where Do our Walking Holidays in Greece Take Place? Explore two of the most beautiful Greek Islands, Naxos and Santorini. Naxos will enchant you with its traditional villages and cobbled paths passing through ancient olive groves. 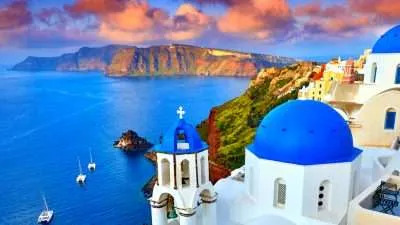 Santorini, an island shaped by a dramatic volcanic eruption thousands of years ago, is famous for its amazing seascapes and whitewashed houses. There are walking holidays for all levels in the secret beauty of the little known Zagori region in the Pindos mountains of North West Greece. Famous for its iconic stone arched bridges and forty-six stone villages, there is also a chance to walk the full length of the breathtaking Vikos Gorge. On our Corfu self guided walking holidays you will discover both the wild and gorgeous northwest coast of Corfu island as well as the northeast coast with its beautiful bays and hidden coves, so beautifully described by Gerald Durrell in his book My Family and Other Animals. You can also explore Corfu’s south coast and do separate sections or even the entire Corfu Trail, one of the most iconic hiking trails in Europe, traversing the island from south to north. The island of Crete offers some great walking opportunities. We have created some unique walking itineraries in Crete. Our self guided walking holidays in Crete are addressed to those who are looking to explore the authentic and unspoilt nature of this amazing island. 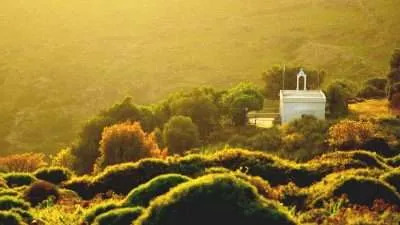 Take journey that combines hiking in nature and along the geo-trails of the Natural Park of Samaria, enjoying the secluded beaches in the remote areas of Western Crete and acquainting with the traditional Cretan way of life, or explore the hidden trails of Eastern Crete and Sitia.